The Federal Capital Territory Administration (FCTA) has expressed satisfaction with the successes recorded in the ongoing Yellow fever preventive mass vaccination campaign in Abuja. The Secretary, Health and Human Services Secretariat (HHSS), FCT, Malam Adamu Bappah, said this while monitoring the exercise at some of the vaccination points within Nyanya, Karu, Jikwoyi and Karshi axis of the FCT on Wednesday. Bappah said that the exercise was well conducted with large turnout of people, which he described as very encouraging. The scribe, however, enjoined residents to ensure that they received the vaccination, particularly those between the ages of nine months and 44 years. He stressed the need for the eradication of yellow fever epidemic, adding that three confirmed cases had been reported so far in the FCT. 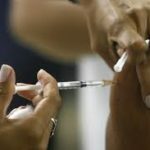 “The vaccination will cover duration of two streams, which the first stream was from November 24 to November 29, covering 35 wards in the territory. “The second stream is from Nov. 30 to Dec. 7 covering 27 wards,” he said. He noted that school premises, places of worship and hospitals were centres used for the mass vaccination. 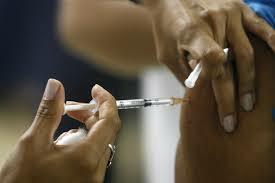 Newsmen report that yellow fever preventive mass vaccination campaign had recently taken place at Dangaza Village under the Abuja Municipal Area Council (AMAC).